Sharing another Mother's Day card with you today. I needed a card to send through the mail, so I opted to keep it thin. I decided to use stamping without any embellishments. 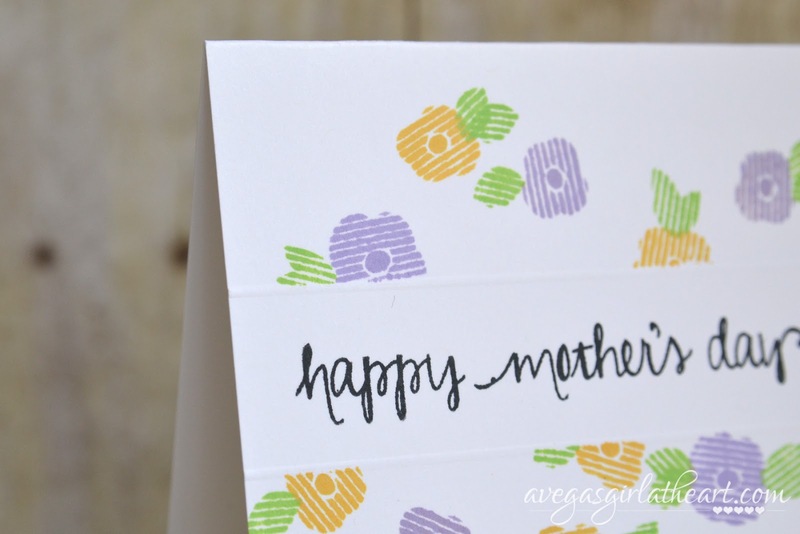 I used the Avery Elle So Happy set, one of my favorites (plus I only have a couple of stamps that say 'Happy Mother's Day' on them). 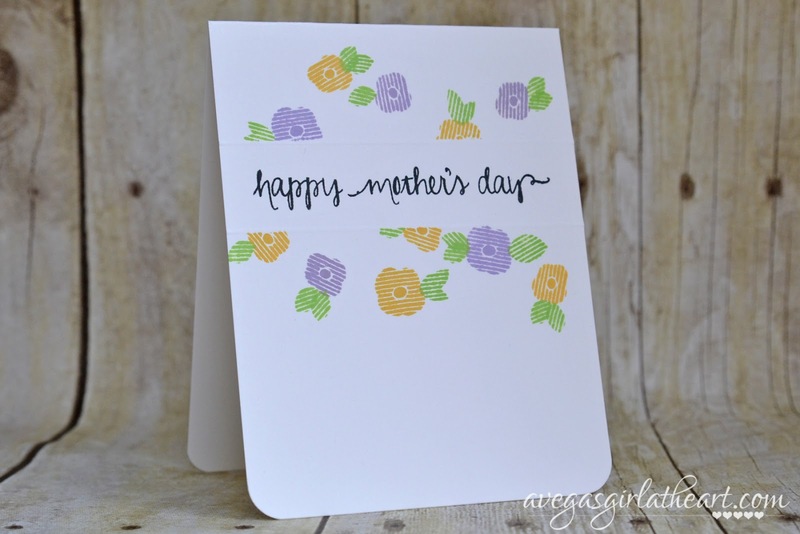 This set is nice in that it comes with some little flower stamps in addition to the sentiments. First, I stamped my sentiment just above the center of the card with Memento Tuxedo Black ink. 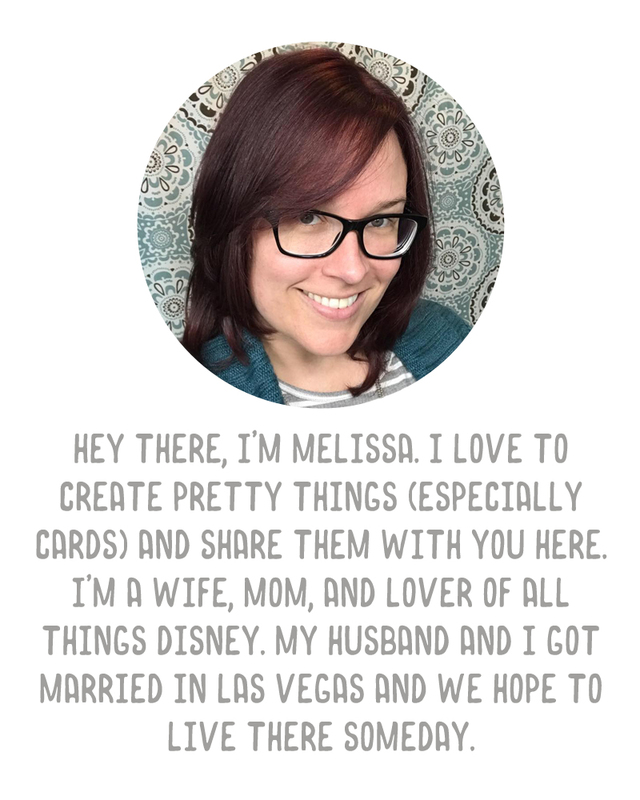 Then, I took some simple paper tape (it's actually a medical tape I found at Walgreens in the first aid aisle) and ran a strip of it across the card as a mask over the sentiment. After that was placed, I randomly stamped some of the flowers and leaves using Hero Arts Shadow Inks (I have several of the cube packs, so I can have lots of colors for not much money) in Butter Bar, Green Hills, and Passion Flower. I removed the tape and thought the card needed something else, so I flipped it over and scored lines with my mini scoreboard along the edge where the tape was. Then I rounded the corners using the yellow WRMK Corner Chomper, and that finished off the card. I LOVE this! And simple enough that even I could do it! :-) Gonna pin this one asap!